I would like to thank the publishers for sending me an arc of this book in exchange for an honest review. From the very first moment I opened this book, I just knew that there was going to be something special about it. Every one of the characters were likeable and very well developed and written. Each one added that little something special to the story, yet from very early on in the book, something about the story started to niggle at me, and I couldn't put my finger on what exactly it was. I just knew deep down that something about the story wasn't right, the final piece of the puzzle just wasn't fitting in right, so I knew from early on the a big twist was going to make an appearance, I just didn't know what it was going to be. The book starts with Megan getting ready to go on an educational trip to Prague with her friend Ollie, who is teacher and is researching the city so he can teach his class about it once the new term begins. Megan, a keen photographer accompanies him on his journey in order to take photos of the beautiful city in all it's glory for her upcoming exhibition. 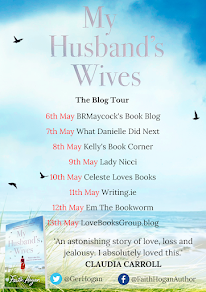 Having kissed Ollie once before and branding it the biggest mistake she's ever made in her life, Megan is keen to make this trip as normal as possible and to do so she has to tell Ollie that there will be no funny business whatsoever. Meanwhile, newly engaged Sophie, is heading off to Prague a few days ahead of her beloved fiance Robin, who she met in Prague. The two return to the city every year, with this year being no different. But Sophie is counting down the days until Robin joins her and all is put right with the world again. Lastly, we meet Hope, who is devastated her daughter has cut off all contact with her after catching Hope in a compromising position with a man who was definitely not her father. Thrown out of her house and her sham of a marriage, Hope finds herself living in Charlie's tiny flat with nothing to do and no one to talk to. In an attempt to cheer Hope up, Charlie takes her on the trip of a lifetime to Prague, where Charlie hopes he can draw Hope out of the darkness. When all three of these women meet in Prague, they go on a journey together and lasting friendships are formed. The chemistry between the three women was brilliantly written and seemed to ooze off of the page. Each one of the characters was so lovingly written, it was obvious from the word go that Isabelle Broome poured her heart and soul into creating these characters and telling their story. This is the first book that I have read by Isabelle Broome, so I had no idea what to expect, even though I had heard so many good things about My Map of You, I just haven't been able to get my hands on it yet, but after reading A Year and A Day I will be making sure that I own a copy as soon as possible. 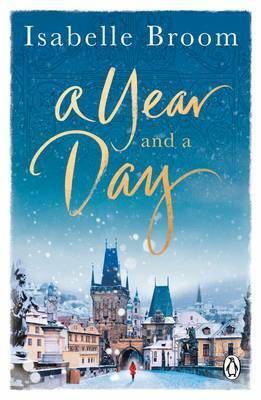 A Year and A Day is a captivating story that will make you fall in love with Prague in a heartbeat. The story is based around the idea that if you touch a cross on one of Prague's bridges then that wish will come true in a year and a day. I feel that this is such a lovely idea for a story and I was blown away by how talented a storyteller the author is. A Year and A Day is the one of the best, most spellbinding books that I have read all year and I can't get over how much it drew me in. I fell for this book hook, line and sinker and I only hope that it gets the recognition that it so rightly deserves. You won't read a better book this Christmas and A Year and A Day is sure to put you in a festive mood.